In 2008, we were basically living in another world. The Marvel Cinematic Universe didn’t exist, we were still recovering from George Lucas’ Star Wars prequilogy, and Fantastic Four was—okay let’s be honest, in about the same place it is now. These years have seen a renaissance in comic book films, along with a surge of high-concept science fiction and fantasy. In celebration of a decade covering the best in genre films, these are io9's greatest movies of the past 10 years. Note: This video reflects the collective opinion of io9's team. 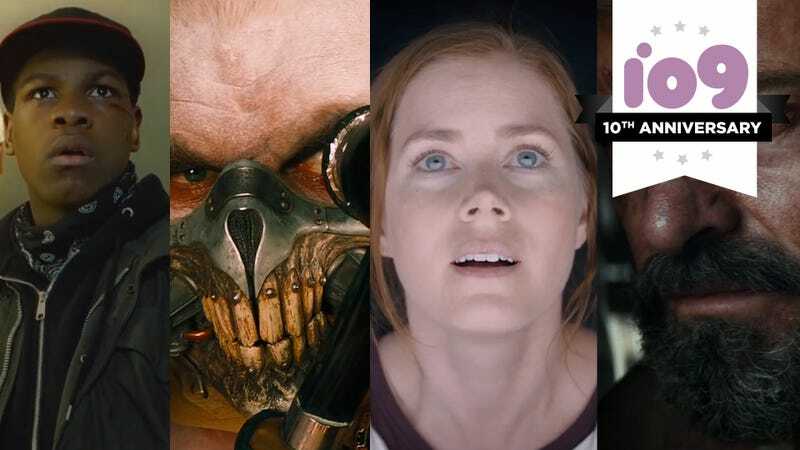 Our staff members each took a list of all notable genre films from 2008 to now—both blockbuster and indie—and gave every movie they’d seen a rank between one and 10, then we rounded out the averages to come up with each movie’s final score. You can see the results in the video below! Want more? Here are some of our favorite moments and memories from each of the films listed above.